Whether you are an emerging artist or an established performer, this LJMU Dance Practices MA enables you to enhance your practice and improve your employability. It is estimated that the dance economy in the UK alone employs around 200,000 people as dancers, teachers and choreographers. In addition to this, many work as community dance practitioners, promoters, producers, designers, publicists, technicians, physiotherapists, medical and alternative practitioners, therapists, writers and academics. This MA Dance practices course is a highly flexible postgraduate qualification, appealing to the UK and international student market. It is aimed at established professionals and emerging artists/facilitators working within the cultural or creative industries. By shaping your identity (through options), the programme will help you to develop your practice-led critical expertise in national/international creative and/or pedagogical practice. This can be implemented in various contexts in your field or specialism. You will also develop further insight and independent research skills that can help you advance your professional or academic career in dance. 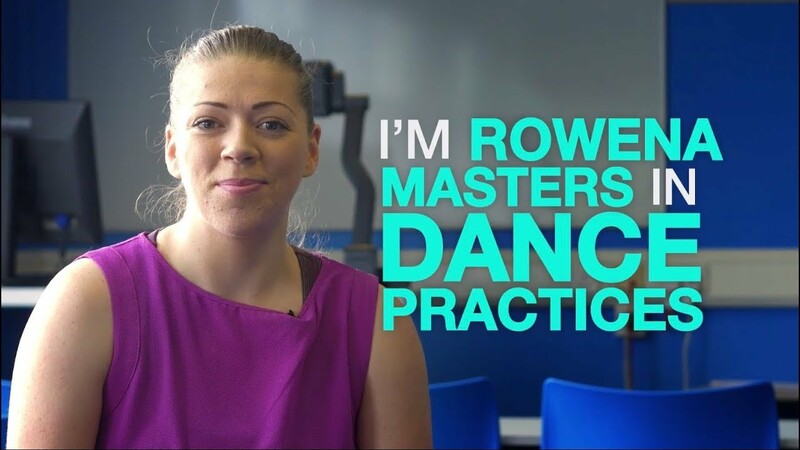 Rowena studied Dance Practices at undergraduate level and is now taking a Masters in the subject. 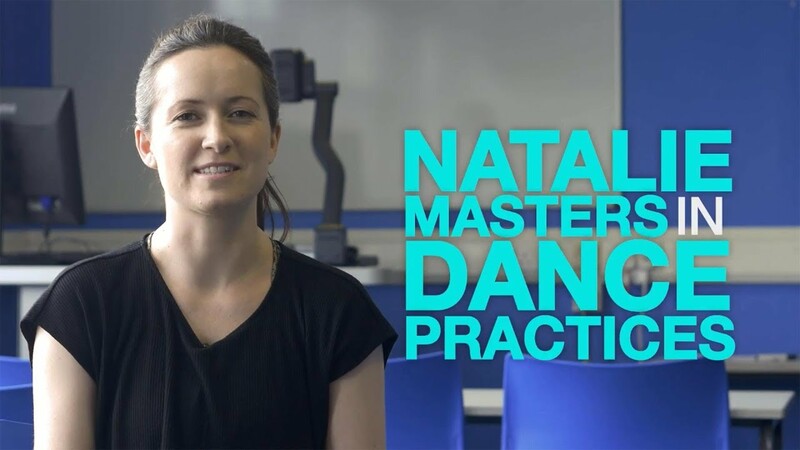 Natalie did a degree in Dance Practices before going on to study for a Masters in the subject. Placements and work-related learning give you an invaluable opportunity to lead a series of learning initiatives and practice the skills and knowledge you have acquired on the course, whilst also gaining new skills. These experiences will add value to your CV and boost your employability in a competitive job market. This module enables you to follow your own investigation into dance making. It aims to interrogate your creative practice and define your individual focus of artistic endeavour. This module aims to build on Dance Professional Practice 1 by enabling you to further investigate your professional practice from the position of the dance creator or the dance facilitator. This module aims to equip you with the conceptual frameworks and the learning skills necessary for Masters study. This module enables you to present an individually-designed piece of work. This module consolidates your learning on the MA programme. You will undertake an in-depth research study relating to a problem, enquiry or artistic/creative topic in the area of dance. You can engage with this substantial final research enquiry/project through practice and/or more traditional academic research. You will be fully supported during this module. You can study full or part-time via discreet intense learning blocks (likely to take place in early September, December, April and June/July/August). This mode of delivery enables you to apply what you learn in the on-campus lectures to professional contexts. There are appropriate opportunities for distance learning, individual support mechanisms and online learning platforms, enabling you, as a student, to draw from your own working practices. The MA Dance Practices course reflects the changing nature of the dance industry. There is now much more emphasis on practice-based collaboration, whilst advances in technology mean that artists need to be open to new approaches to dance. You will carry out a piece of in-depth research and develop skills to work largely independently with support from a supervisor. The programme has strong links with collaborative arts, community and educational partnerships. You can choose to specialise within your own area of expertise, or diversify your research study into other areas of artistic practice. The programme differs from many other Masters programmes by bringing together postgraduate student artists from a range of sectors in the dance industry to enhance educational progress. The mix of professionals, from the sector, ensures a dynamic learning environment. By sharing your professional experiences, you will learn from each other as well as your tutors. You can call on your experience as a creative artist/facilitator or work alongside one of our collaborative partnerships. Assessment methods on this programme includes practical enquiry, work-related enquiry, essays, oral presentations, poster presentations, a viva voce, and, of course, your practice and research-based dissertation. You can focus your research and practice in areas such as: performance, composition, choreography, pedagogy, intermediality, dance science, somatic practice, community, disability arts and improvisation. Based at the IM Marsh campus in leafy Aigburth, the School of Sport Studies, Leisure and Nutrition offers you the opportunity to study in a dynamic and supportive postgraduate environment. On-campus specialist dance facilities, IT equipment, classrooms and library facilities enable you to blend the required practical and academic study requirements simultaneously.